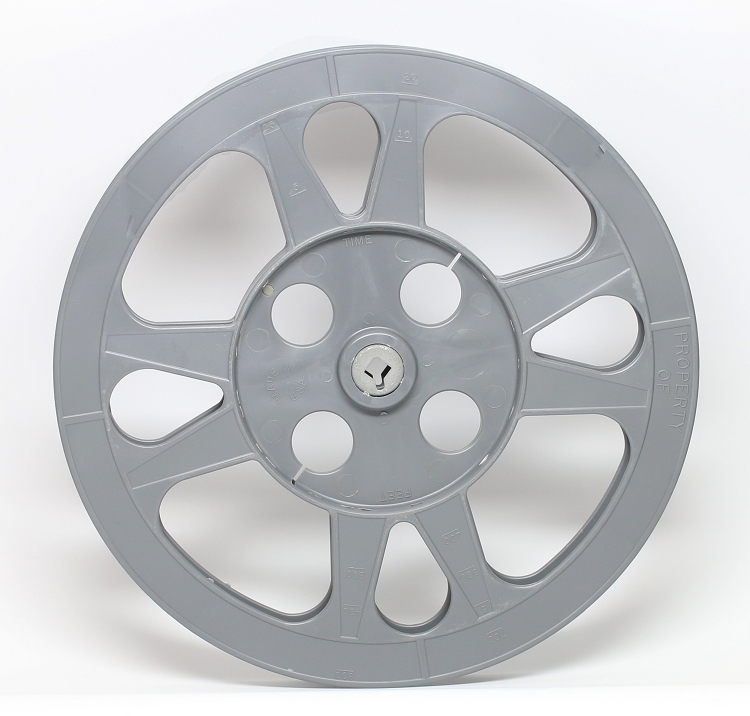 Heavy Duty gray plastic 800 ft. 16mm reel with measurement marks for easy reading. Has strong metal hub. 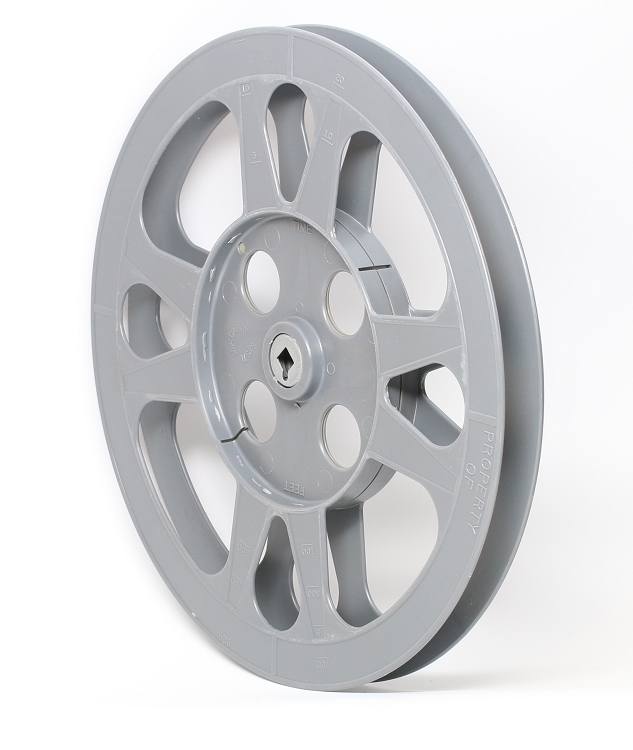 Reels have some flexibility to them, sturdy not brittle. Diameter is 10-1/2 in.